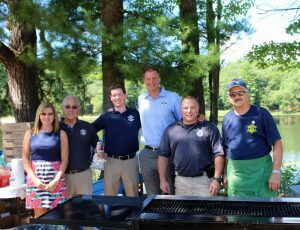 ATHOL – Worcester County Sheriff Lew Evangelidis had the pleasure of attending the 11th Annual North Quabbin Senior Picnic this week held at Silver Lake Park in Athol. Along with his Community Outreach Team, who assisted with the picnic and provided public safety information, the Sheriff handed out some sweet treats in the form of whoopie pies. The whoopie pies were donated to the Sheriff’s Office by family owned business Dimitrea Delights Baking Company of North Grafton. 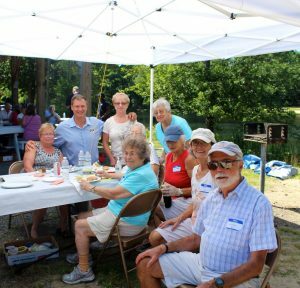 “As Sheriff, I am always honored to spend the afternoon with our seniors who have given so much to their communities over the years.” said Evangelidis. 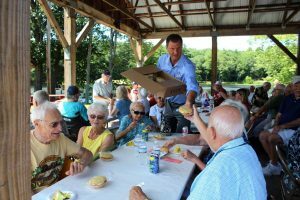 The North Quabbin Picnic, attended by over 200 seniors from the Athol area is an annual favorite tradition. 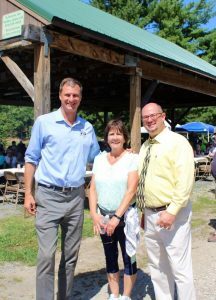 “The town of Athol is very fortunate to have such a beautiful recreational area like Silver Lake Park and such a dedicated Senior Center staff to host such a wonderful event” said the Sheriff.